This coming Sunday, February 28 is our next Druid Walk at the Interpretive Wetlands - Rotary Mattamy Greenway. We will meet at 10:30 am. Park on Laguna Way NE, near 7217 Laguna Way NE, between Anaheim Cres NE and Anaheim Cir NE and we will walk along the green space path to the the wetlands. Dress for the weather and bring some drinking water, and maybe your camera too! North Access to Wetlands & Greenway 1. Drive east on 32nd Ave NE 2. Left turn at Catalina Blvd NE 3. Right turn on Laguna Way NE Access to the Greenway is at the playground just after Anaheim Crescent NE; turn right on pathway intersection to access the Wetlands. 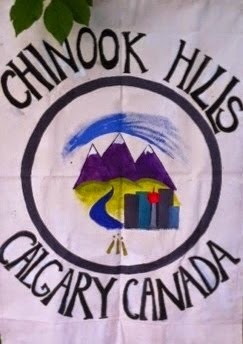 If you want to join us, please send an email to info@chinookhillsdruidry.org before Sunday so we will know to wait for you.